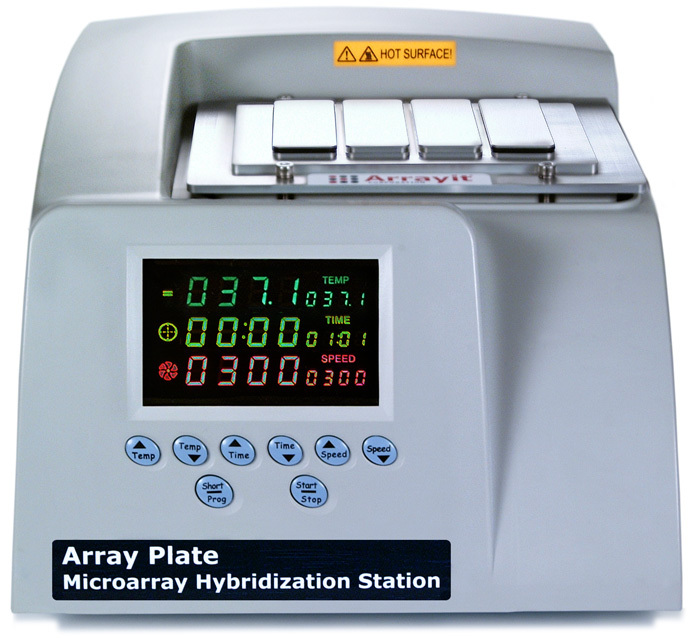 Arrayit offers the market's finest Array Plate Microarray hybridization Stations for Multi-Well Microarray Hybridization Cassettes including the AHC4x16 and AHC4x24 cassettes. 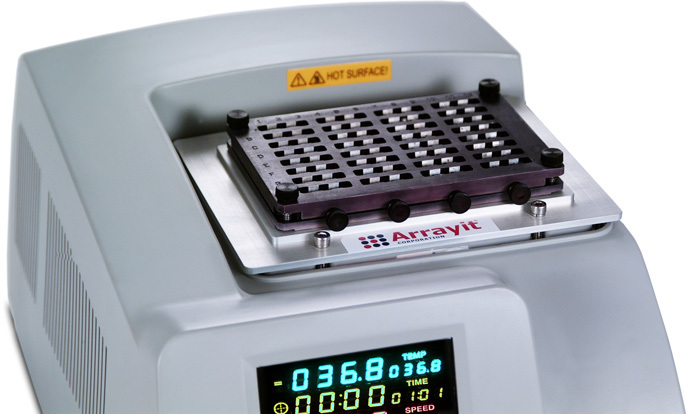 Digital control and Peltier-cooling enable temperature control from 6-105°C and orbital mixing from 300-1,500 rpm for automated mixing and reactivity of DNA, protein, peptide, antibody, carbohydrate and other types of microarrays. This affordable and automated hybridization station speeds high-throughput sample analysis for gene expression, genotyping, serum diagnostics, protein profiling and comparative genomic hybridization from samples prepared by whole genome amplification (WGA), RNA amplification and other sources. Available in both 110 volt and 220 volt configurations in a highly compact footprint for research, pharmaceutical development, diagnostics, life sciences and core laboratories use, 110 volt version.